In the first Avengers: Endgame trailer, Tony Stark wisely told us that "part of the journey is the end." But for the desperate people trying to buy tickets to that very movie, the culmination of 22 Marvel Cinematic Universe features, there may be no end in sight. Tickets for the end of this Marvel phase went on sale around 5 a.m. this morning. But the fervor surrounding the much-anticipated conclusion to the story that started in last year's Infinity War — and really, in 2008's Iron Man — crashed sites, apps and servers all around town. Fans reported spending hours trying to make their purchases. Looks like Thanos's snap took out more than 50% of ticket websites. But just like Tony and Steve, the sites and the fans have been fighting back. Fans embodied Captain America's spirit and refused to move on, securing tickets by waiting in long online queues, using apps to get around site problems, and generally doing whatever it takes to make sure they have their butts in some seats at the end of the month. Taking a look through showtimes for the first few days of the movie's box office release (April 26), many websites are already showing few tickets remaining, especially in prime evening hours. It quickly became the fastest selling presale ticket in Fandango's history. if you can't get the amc app or fandango to work, try this trick..
"Even if there's a small chance, we owe this to everyone who's not in this room to try." Speaking of butts in seats, there's still time to catch up on, or rewatch, the many already-released Marvel movies to make sure that you're fully prepared for Endame. Marvel's even staging a 22-movie marathon of the complete Marvel Cinematic Universe (sorry Marvel TV shows, you only kind of count). 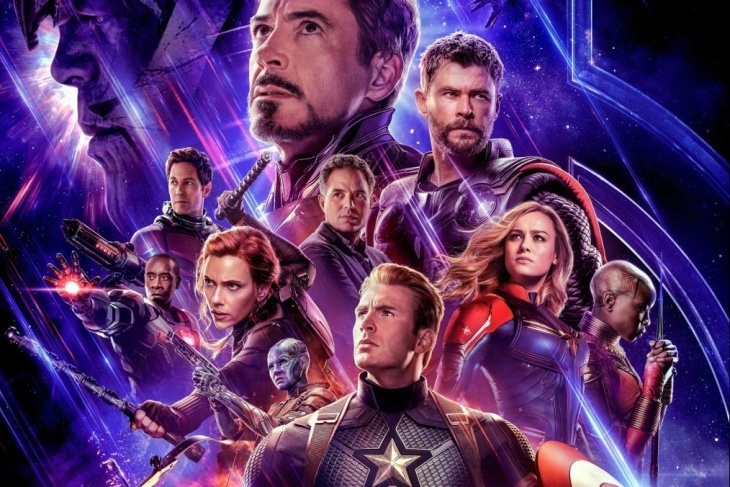 That experience (coming to the El Capitan on April 23) will run you a total of 59 hours and 7 minutes, but if this ticket buying frenzy tells us anything about Marvel fans, it's that will a little bit of determination, they can probably triumph over their basic bodily needs (i.e. food and sleep) in the name of justice. So have you secured your tickets? Come April 25, beware of any tricksters trying to spoil the fun before you finally... finally get to see this movie.